Leather jacket is a kind of clothing piece that has always remained in fashion and it is still quite popular and trendy, especially among bikers, pilots and soldiers. Moreover, several actors, actresses and different celebrities have also worn leather jackets over time, which has made it a huge fashion statement. Therefore, you will find these leather jackets quite expensive and they also require proper maintenance, if you want to keep them for long time. However, washing of a leather jacket is not an easy task because it requires certain amount of care in order to avoid any kind of damage. So if you want to wash your leather jacket without damaging it then follow this guide for tips to do that. To wash a leather jacket, you should first go through the instructions written on its inside label. Follow these directions very carefully to prevent your leather jacket from getting ruined. To remove the external stains such as dust and dirt from your leather jacket, either use baby wipes or a wet wash cloth. With this you can wipe the outer part of your leather jacket quite easily. Use a leather cleaner spray on the stained areas of the jacket. After spraying on the stains, gently rub them off with the help of a wash cloth. However, keep in mind to use a leather cleaner spray that does not have water base. As far as the wash cloth is concerned, do not use a rough cloth or sponge as it can abrade the delicate leather. 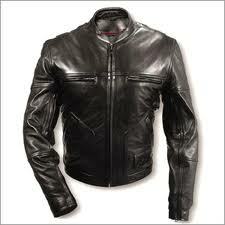 You can also wash your leather jacket with hands by using a mild soap and tepid water. Other than mild soap, you can also use dish washing liquid to wash your leather jacket as it does not comprise of harsh chemicals that can cause damage to it. To wash the leather jacket with dish washing liquid, immerse it in a small tub of water that contains this liquid. Then, rub the stained areas gently in a round motion until they are clean. Now allow this jacket to air-dry or tumble dry. Take the services of a professional dry cleaner in order to get your leather jacket washed. In this way your jacket will not be damaged and you can avoid repairs too.